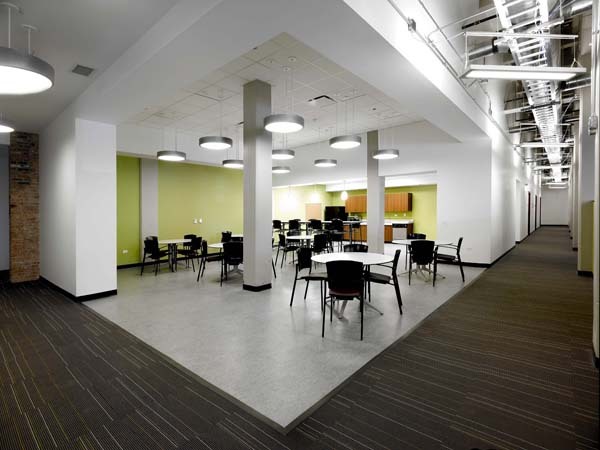 The University of Chicago retained Bauer Latoza Studio for a $3 million interior build-out for the IT Services department. 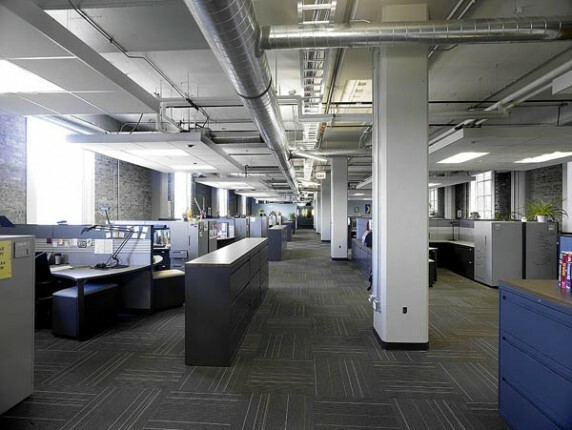 The 38,000 square feet of space houses offices for 140 staff members. Bauer Latoza paid great attention to detail during the design phase in an effort to preserve the open character of the existing space. The exposed brick walls, raw ceiling and ductwork create a dynamic space that pays homage to the historic building’s shell. 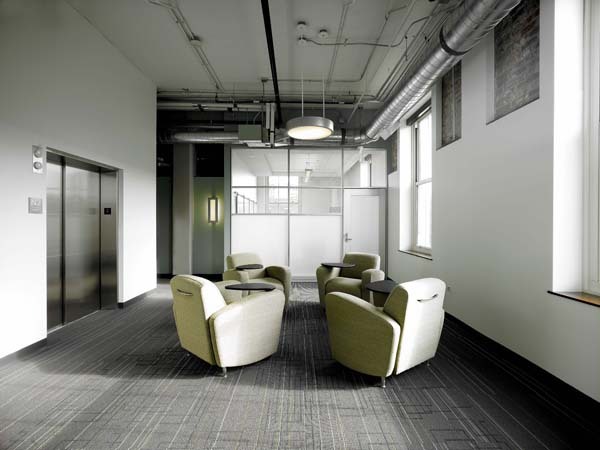 The design takes advantage of the abundant natural light by placing the private spaces in the corners of the floor plans, leaving expansive open office in the center. 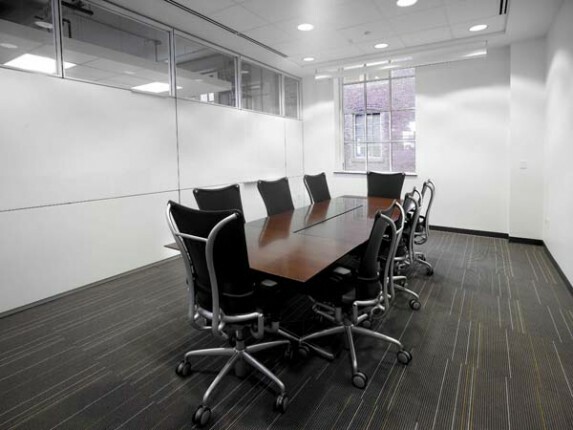 Private office walls and open office workstation partitions were kept low to promote collaboration, as well as take advantage of the natural light. 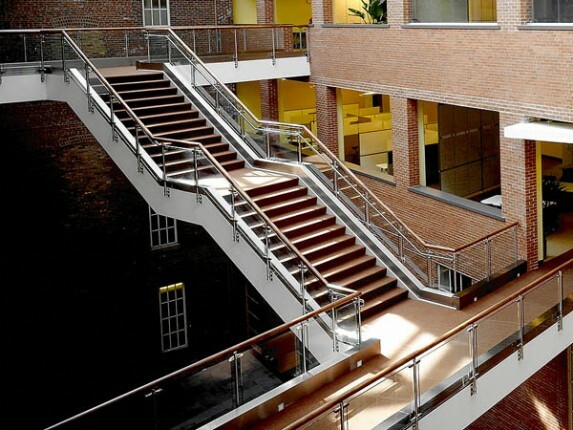 This project achieved LEED-CI Gold certification. Furniture, floor coverings, finishes, and building materials were carefully selected to contain recycled content, be manufactured locally, be manufactured from rapidly renewable materials, and contain low to no Volatile Organic Compounds (VOC). 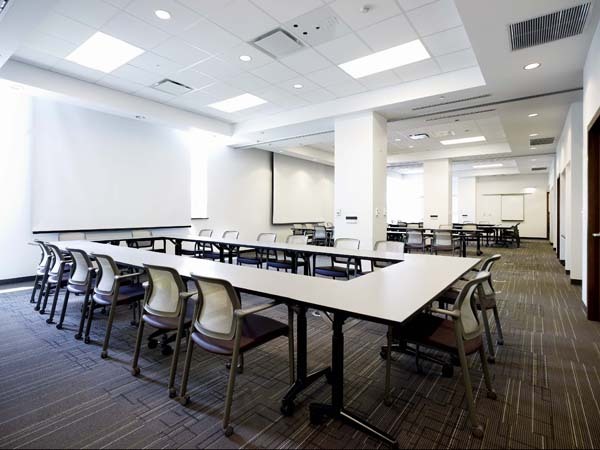 The lighting system was designed to maximize energy efficiency. A secured bike room was designated in the basement and two shower rooms are located in IT’s space, accommodating and encouraging the users to bike to work.